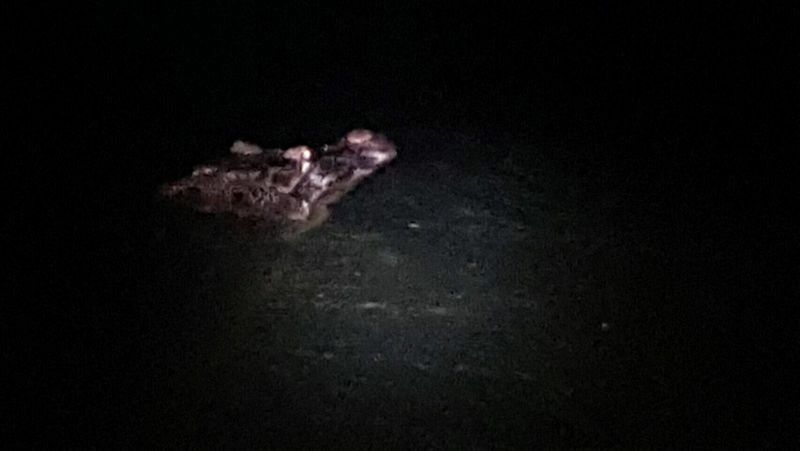 PHUKET: Officials from the Phuket Fisheries Department have said that they are hopeful of capturing the Phuket crocodile tonight after a failed attempt to capture the reptile early this morning. Phuket Fisheries Department Chief Paiboon Bunlippatanon together with officials from the Surat Thani Fisheries Department and crocodile experts from crocodile farms in Phuket are planning to catch the crocodile at 8pm. Mr Nikom Suksawat from the Surat Thani Fisheries Dept told The Phuket News today, “We will use the same method to catch the crocodile as we did this morning. We will use boats and a fishing net. “We have to force the crocodile to land using the fishing net and will then capture it with a noose,” he said. “We failed this morning because the fishing net did not go deep enough into the lagoon which is more than 10 metres deep. So we had to find another net. It is too risky to use an anaesthetic as when the crocodile becomes unconscious it could drown making it more difficult to find,” Mr Nikom added.